You’ve got a great idea, but need your colleagues – your boss, your teammates, your partners – to approve and help develop the implementation. You put together a great deck that makes your case professionally, rationally, and clearly. Your colleagues respond wonderfully – you get great feedback and they say they’ll begin moving the idea along. And then…. nothing. What’s going on? may not understand why your vision is important enough to cause the disruption that could result from change. With an existent and fully-formed hierarchy of beliefs and rules that define and operationalize it, the Other’s status quo might find the new information threatening and disruptive, causing them to resist regardless of its presentation or efficacy. It’s not until the person or team (or more accurately their internal system of values, rules, goals, behaviors) understands how to operationalize your ideas in a way that enables them to remain stable through any proposed change that they will consider shifting to anything new. The status quo has been habituated and normalized; it’s been ‘fine’, thank you. Changing it causes confusion and unknown consequences. It’s a conundrum. They need your information, but cannot act on it until they’ve agreed to, and have a route toward, congruently changing what they’re already doing (Anything ‘new’ added to something that exists is a change management problem.). Indeed, before needing the specifics, or considering an action plan, they must first figure out how to change congruently, with minimal fallout. Your information is actually the last thing they need. To get your great ideas appreciated and acted upon, to encourage change and buy-in in a way that supports and enhances the status quo without threatening it, you must first lead Others down their own route to congruent change in a way that incorporates and maintains their historic actions and outcomes. Unfortunately for those of us who really have great ideas that will make a difference, no information, no outsider, can do it for them – they must do all this themselves, as none of us can never know or understand what’s going on within their idiosyncratic status quo. But we can help them figure out how to welcome, and participate in, change. New ideas suggest change; change suggests a threat to the daily functioning and core beliefs of the status quo, causing resistance until the status quo knows how to incorporate the new congruently. That means all of the voices and accepted norms that helped create the status quo and will be affected by the change must buy-in, lend their ideas and concerns to, and be a part of, the new solution. A. How is our [status quo] working? Without the full range of voices heard, the full set of ideas or needs won’t be collected. B. What do you think has stopped us from enabling it to work even more effectively? Make sure everyone has a say and there is agreement, or there might be resistance later. C. What would it look like if we were to do whatever we’d need to do to realize more success? Get everyone’s voice involved, even if to object. Then the full view of the status quo will be represented. D. How could we design some sort of change to ensure we don’t disrupt what’s working yet enable us to enhance the status quo for more effective results? Here, take time to get everyone into some type of agreement to fixing the same problem or expand/contract parameters. 1. You’re inviting everyone (or group leaders at least) into a conversation to begin the discussion and change process from the standpoint of buy-in and consensus. Then everyone will own the ‘problem’ and a say in any eventual change. This collaboration ensures group engagement. 2. 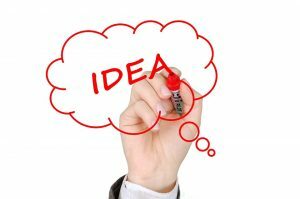 ‘Your’ ideas will expand to ‘our’ ideas with additional components, specific considerations and broad creativity. 3. You will have encouraged/promoted collaboration and excellence by creating an opening for change and new ideas, and enhancing your ideas even further. Will it end up looking exactly like your original idea? Nope. But it will reach a similar end goal with everyone owning the solution and contributing to its success. 4. You will highlight, discuss, and ultimately avoid resistance, as the elements of congruent change will be tackled first and any problems will be incorporated into the new solution. Then, at the next meeting, and once there is buy-in for change, and all – all – appropriate voices have been assembled and heard from, present your ideas along with everyone else’s. Discuss collaboratively, then have the group lay out some preliminary action plans that everyone agrees to. Net net: you’ll have amassed the full fact pattern with all voices sharing; achieve buy-in/consensus; have a larger pool of ideas to work from; design a workable plan to incorporate the new with the ‘old’; enable congruent change that fits comfortably with the status quo; and avoid resistance. You will have a harmonious team ready to work together. It may not look like you had originally envisaged, but it will reach the goals you seek with everyone’s heart and muscle behind you. And you will have become a Servant Leader to your cause.